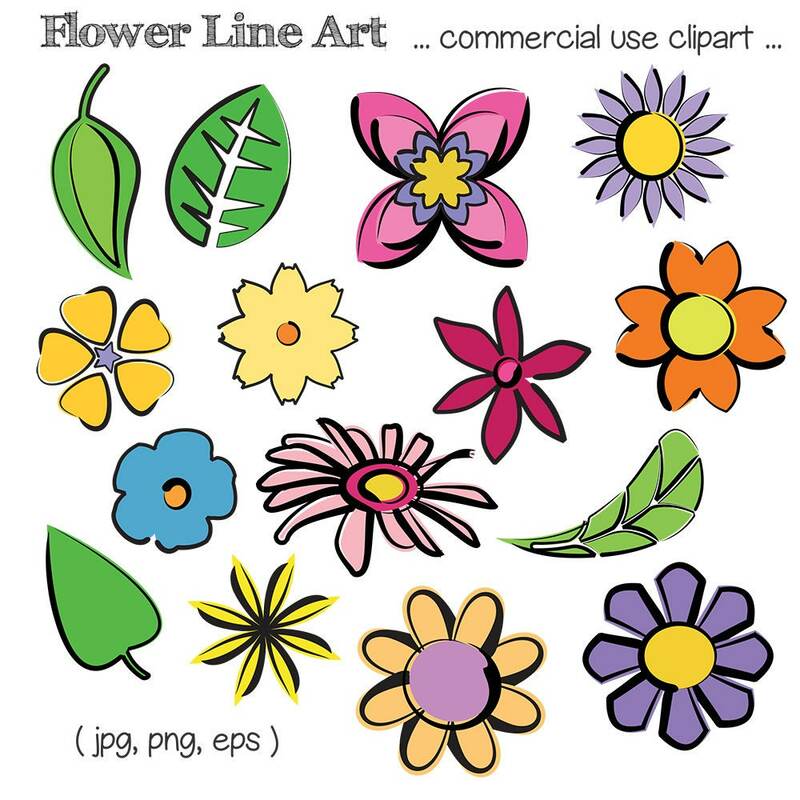 Flower and Leaf Line Art royalty free clip art. Limited commercial use OK up to 200 copies. Extended license available for larger quantities. Set includes eleven flowers and four leaves clip art. Images are 6 inches at 300 dpi. Format: PNG (300 dpi, transparent backgrounds), JPG and EPS vector files in a zip folder.